McCarthy Dental Group employs the latest technologies to provide patients with the safest, easiest, and most effective forms of treatment. We thrive upon attending continuing education courses to learn about the latest technological advances and how we can incorporate them into our practice to make your experience more pleasant and enjoyable. A panorex is a form of x-ray which is capable of identifying many issues and structures that a normal x-ray is not. When indicated, you will stand with your chin on a small ledge. Once positioned in the machine, it will rotate around your entire head taking a full 360 degree view of the teeth, head, sinuses and bones. 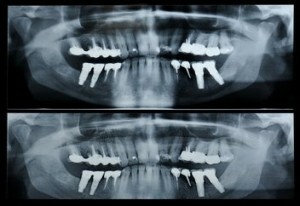 The ability to view the full structure of your head as a whole is very informative to the dentist. It will allow us to see any potential problems and make sure that everything is functioning as it should be. 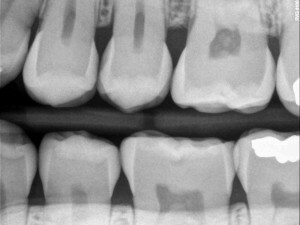 Digital x-rays are quickly becoming adopted by a large percentage of the dental industry. 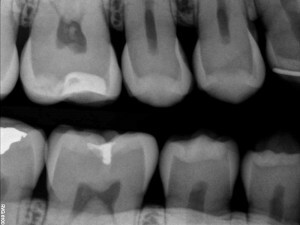 A digital x-ray allows the dentist to take an image of the tooth or teeth and put it into an imaging program which allows the dentist to gain a better view of your teeth, gums, and bones. As a benefit to the patient, the digital x-ray provides nearly 80% less radiation than a standard x-ray. This is due to the fact that the digital version of the x-ray is much more sensitive to this radiation and has been specifically designed with the patient in mind. Carivue is a safe, near-infrared light, which uses transillumination technology to make healthy enamel appear transparent and porous lesions to absorb light. 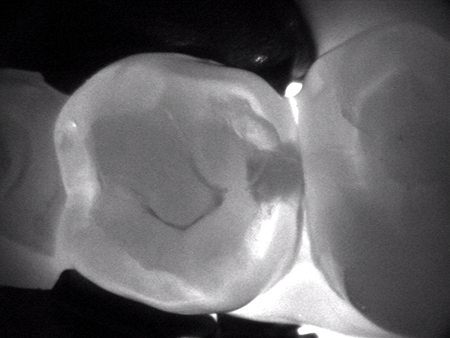 This unique caries detector allows the clinician to view the tooth in 3-D, allowing for a more accurate diagnosis of decayed tooth structure. DEXIS CariVu images read like familiar X-ray images, but without the element of exposure. We have a cordless, pen-sized laser that assists us in everything from healing canker sores, to relieving tongue tie, to helping us achieve excellent-fitting crowns. The intraoral camera gives us the ability to view the entire mouth on a monitor so that we can get a closer look at any potential issues or problems that may arise. In addition, the patient will have the ability to see for themselves first hand how things look inside of their mouth. This gives us an opportunity to better explain the procedures we are recommending so the patient has a greater understanding of what needs to be treated or areas of the mouth they need to focus more on in their daily hygiene routine. These digital images are also excellent for gaining procedure acceptance from insurance companies. Endodontics, more commonly known as root canal, is a procedure where the nerves of the tooth are removed. This is often due to the fact that they are infected and the tooth is causing pain, but can also be due to a large cavity or a crack in the tooth. Rotary Endodontics is a way of performing the root canal utilizing a specific electrical handpiece. 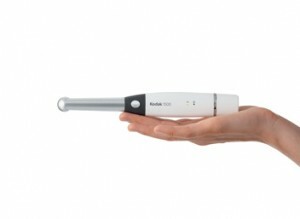 This tool often makes the process faster and allows the dentist to perform the process with greater ease and precision.